Every season has its delicacies. Springtime has jelly beans. Summer has fruit flavored popsicles. Let's not even get to the mountain of winter treats. 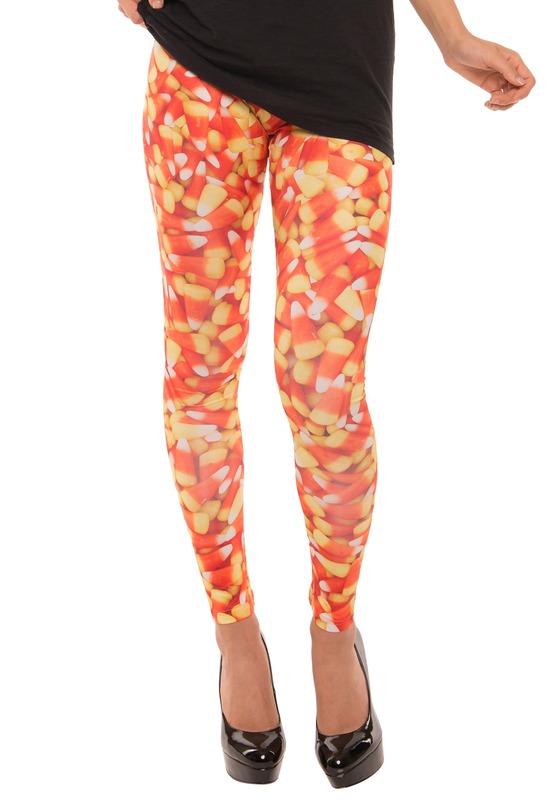 But here's the thing, there's something about candy corn that has a special place in our hearts. Maybe it's the layered texture. Maybe it's the fact that it's just solidified sugar pressed into a colorful triangle and it's not trying to be anything else. 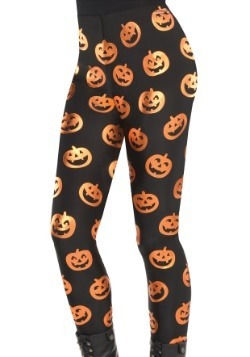 Jive up any October ensemble with these colorful and comfortable leggings. The scattered candy corn pattern is sure to stir up a conversation about people's loyal love of the sweet treat. Whether you're planning on mixing the leggings into a costume or you just want a colorful accent to your autumn leisure wear, you'll find these add plenty of joy to your day! We love that candy corn can be thrown in with a trail mix to make a hike thematic. You can even toss the candy corn pieces with real freshly popped corn to make snacking during a scary movie more celebratory. And of course, we wouldn't judge if you snuck a handful into your hoodie pocket to snack on while studying. If you're a true enthusiast, you know are endless ways to celebrate the season. Small - $24.99 Only 2 left! Medium - $24.99 Only 6 left! Large - $24.99 Only 6 left! X-Large - $24.99 Only 2 left!